Quality 1st Concrete - Mobile Concrete Delivery Photo Album - Concrete Delivery To The Labor Training Center In Monroe Township, NJ. Mobile Concrete Delivery Photo Album: Concrete Delivery To The Labor Training Center In Monroe Township, NJ. The Labor Training Center in Monroe Township, NJ was in need of a concrete delivery to train a group of laborers to work in the construction industry. They had used Quality Concrete before, so they decided to contact them to schedule the pour. They were doing flat work and needed 10 yards of 4500 PSI with accelerator. 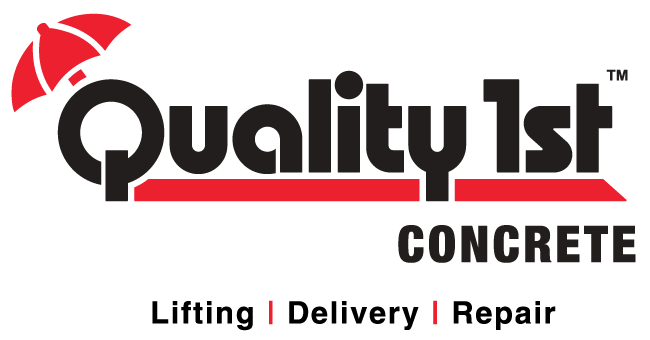 When they got in touch with the the dispatcher at Quality Concrete, she was able to easily locate their information and schedule the delivery for them. Jay, the Concrete Specialist, was out to make the delivery. When he arrived to the location he parked right by the area where they were pouring and started mixing fresh concrete for them. It was an open area, and the concrete was taken straight out of the truck. The pour went well and Jay successful delivered the 10 yards that the Labor Training Center needed. The job was completed and once again the Labor Training Center was happy with the service provided by the Quality Concrete team.